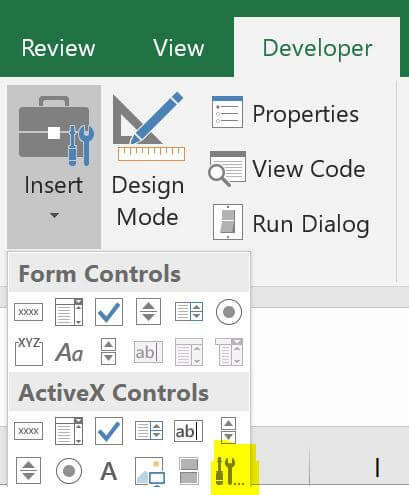 Step 3: Select File - Option - Customize Ribbon, select Developer checkbox. Step 4. 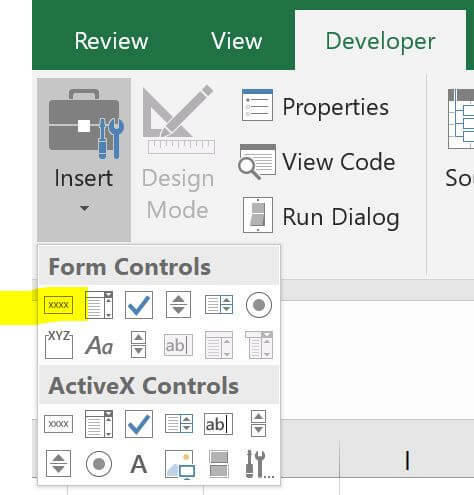 In Developer tab, select Insert, select Button (Form Control) , drag the button on worksheet. enter the Macro name is Button1_Click, Click New button and change the button caption to "Start". 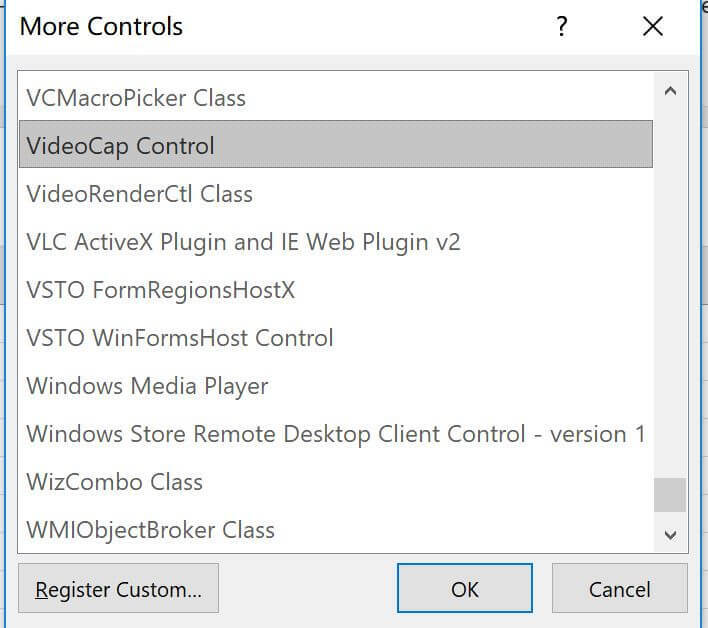 and change the button caption to "Stop"
then select VideoCap Control, click OK, then drag the activex control on form. Step 9. Now click the Start button, you can preview your webcam. Step 10. Now add the following in Button1_Click(), make sure you enter the correct path in CaptureFileName property. 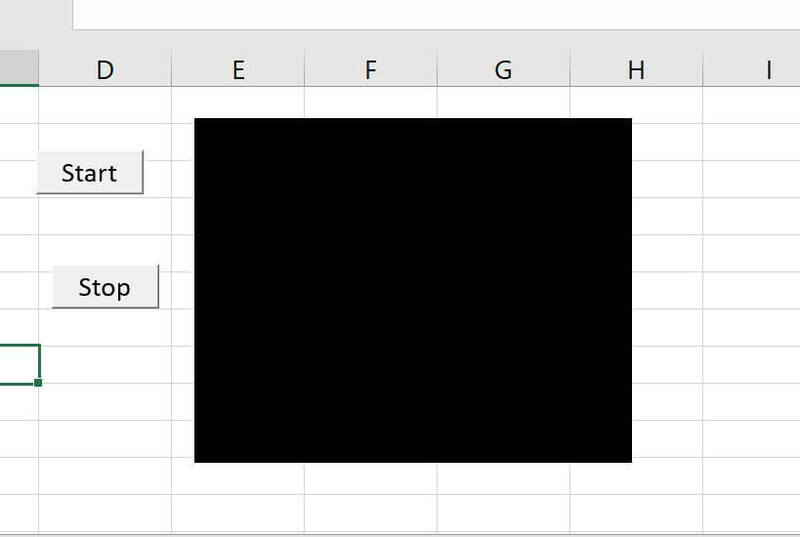 It will recording the video to mp4 file. Step 11. 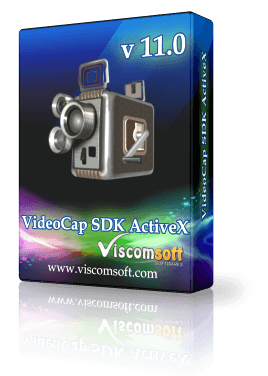 Now click the Start button, you can preview your webcam and recording to mp4 in same time.